Performance benchmarks for the new 13” MacBook Pro without Touch Bar have started hitting the Geekbench website, revealing that the 2016 model while only slightly faster than than last year’s base model, is much more energy efficient, MacRumors reports. 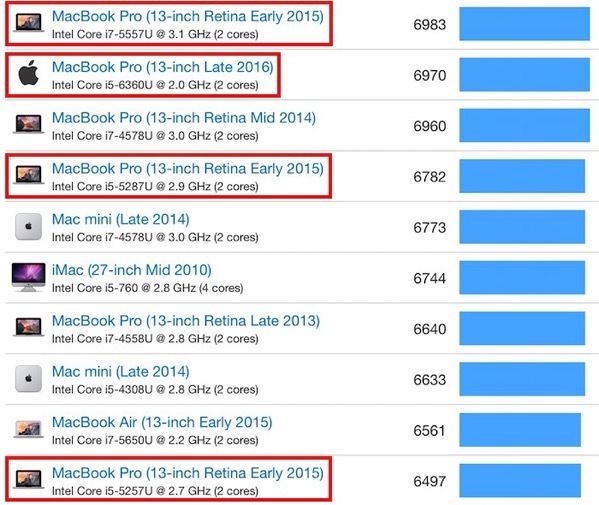 Looking at the benchmarks, it appears the new MacBook Pro, with an average multi-core score of 6,970, is only 7% faster than the comparable model from early 2015. 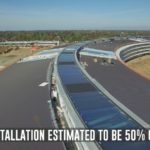 It must however be noted that although the performance improvement does not appear significant on the overall benchmark scores, the new model’s 15-watt chip is much more energy efficient than the 28-watt chip in last year’s entry-level model. As a result of this lower power consumption, the 2016 base model manages to give the same battery life as last year’s model, despite having a smaller 54.5-watt-hour battery versus the 74.9-watt-hour battery in previous model. The entry-level model, powered by a Skylake-based 2.0GHz dual-core Intel Core i5 processor, currently has an average multi-core score of 6,970, indicating the notebook is only up to 7% faster than the early 2015 base model 13-inch MacBook Pro. Last year’s comparable model, equipped with a Broadwell-based 2.7GHz dual-core Intel Core i5 processor, currently has an average multi-core score of 6,497. The notebooks are each calibrated against a baseline score of 4,000, which is the score of Intel’s high-end Core i7-6600U processor. Benchmarks for the new 13” and 15” MacBook Pros with Touch Bar should start appearing once Apple starts shipping them in the next two weeks.